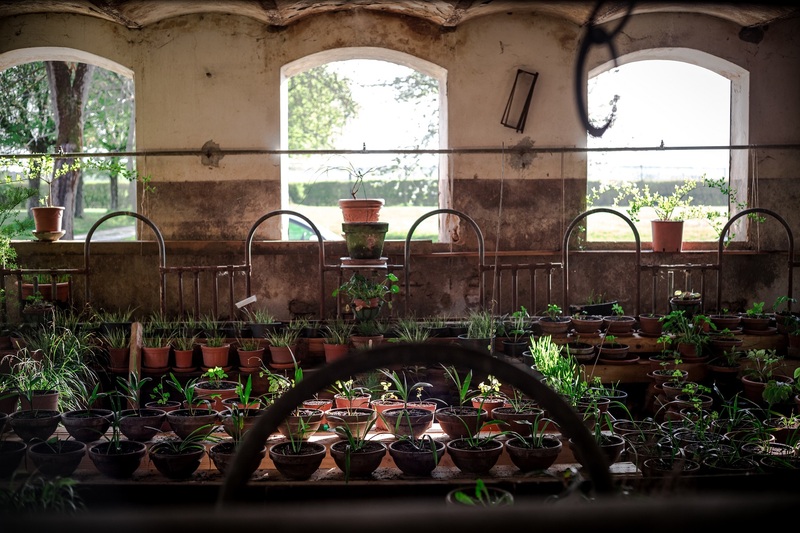 La Macchina Fissa is home to many ornamental and edible plants that some garden critics would say might make an interesting botanical collection, but could hardly be defined as a garden. Clark keeps sowing and growing them, anyway, and sometimes – rarely – manages to make something that looks designed or intentional. There is a terrace covered in potted plants and odd and exotic trees (many grown from seeds), and a vegetable garden that in the summer looks more like a jungle than a proper Italian vegetable garden. This house and garden will take several years to figure out, but Clark and helpers are enjoying the challenge. There is a garden blog, updated regularly throughout the sowing of spring, growing of summer, seed collecting of autumn, and winter dreaming seasons. Latin is prefered and usually used not to alienate amateurs, but to speak to plant lovers all over the world. Google will help if you get stuck. The photo gallery is coming soon, in the meantime you can check out the Garden Blog here.